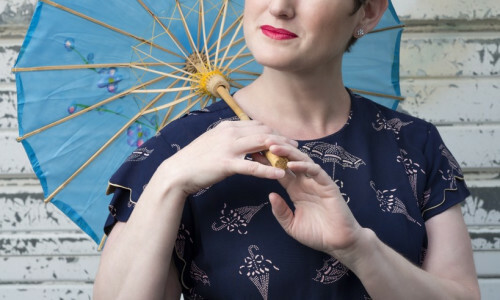 For more than a decade, Oh Susanna – Suzie Ungerleider – has made critically-acclaimed albums full of contemplative, thoughtful, folk-inspired songs that transport listeners into an imaginary emotional landscape. Her latest album, 2014’s Namedropper, expands on her already long list of artistic partnerships: The record is a compilation of songs written for her by some of Canada’s best songwriters: Ron Sexsmith, Royal Wood, Jim Cuddy, Joel Plaskett, Luke Doucet, Jay Harris, Rueben deGroot, Melissa McClelland, Amelia Curran, Old Man Luedecke, Keri Latimer of Nathan and The Good Lovelies. Watch this video for highlights from the album launch and a look behind the scenes of that evening. On December 2, we presented An Evening with Oh Susanna at the Great Hall. 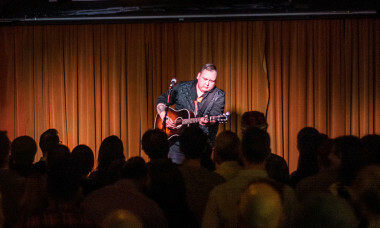 As one might imagine, the star of the evening was overjoyed with the task of collecting a cast of special guests for the Evening – which include Sarah Harmer, Andy Maize and Jane Siberry – and she was eager to let us know how it all came together. And while Oh Susanna isn’t – despite what one might think based on her last album’s title – one to fish for names and compliments, we here at Massey Hall and Roy Thomson Hall aren’t above making a few calls in the interest of spreading love. We asked some of the evening’s special guests what the Evening means to them.